The dental health team at Thunderbird Dental Group encourages pregnant women to visit our Langley dental practice for regular dental appointments so that oral health issues can be treated before they have an impact on pregnancy. While you are pregnant, the team at our Langley dental practice will pay close attention to your teeth and gums. In order to keep your mouth healthy, brush and floss on a regular basis and make sure your diet is nutritious. 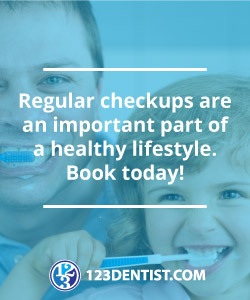 Ensure that you visit Thunderbird Dental Group in Langley or your regular checkups and to prevent dental issues. Gingivitis is a major concern for pregnant women who visit our Langley dental practice because the high level of hormones make the way gums respond to plaque much worse. It should be noted that plaque is the major cause of pregnancy gingivitis, not hormones. Let the Thunderbird Dental Group team in Langley know about your pregnancy when you make your appointment.